Cyient India Limited through its wholly owned subsidiary Cyient Europe Limited, has signed a definitive agreement with Blom AS, Norway, a wholly owned subsidiary of NRC Group ASA, Norway to acquire 100% of the shares of Blom Aerofilms Ltd.
Based in Cheddar, Somerset, UK, Blom is a leading provider of ground surveying, digital mapping, aerial photography and laser scanning solutions. Blom employs a core team of around 40 people. Blom’s presence in the UK can be traced back to 1919 when Aerofilms was founded as the UK’s first ever commercial aerial photography company. Over the subsequent decades the company has built up a wealth of experience and an impressive track record around all types of geospatial data acquisition and services, including aerial and ground-based LIDAR and data modelling. Cyient is a global provider of engineering, data analytics, geospatial, network and operations solutions. It collaborates with its clients to achieve more, and to shape a better tomorrow. With 25 years of experience, Cyient is well positioned to solve problems. 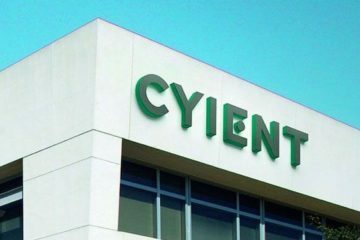 Cyient’s solutions include product development and life-cycle support, process and network engineering, and data transformation and analytics. Cyient Acquires CERTON Software Inc.